Curtain Call has a fabulous new sponsor, Pretty Pink Posh, for the Curtain Call Inspiration Challenge: Pink & Pretty! The LEAD of this challenge will receive a gift certificate to the Pretty Pink Posh Shop! 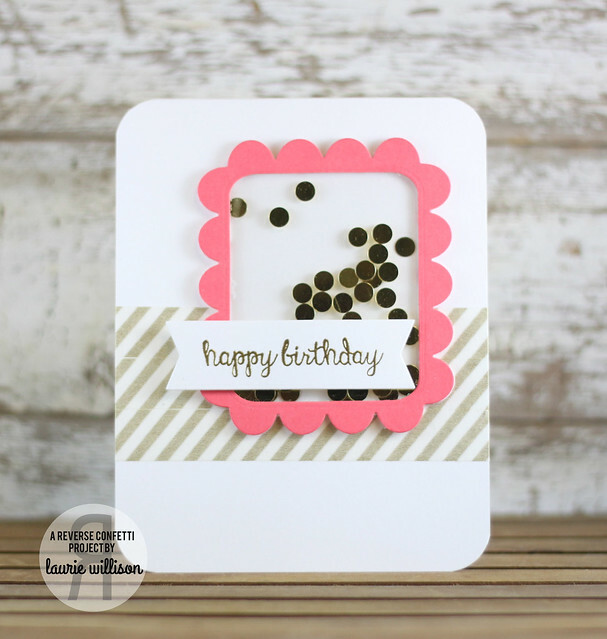 For this card I used Reverse Confetti's scalloped die from the Love Note die set. I added in some clear acetate for the window and added in some Gold Confetti from the Pretty Pink Post shop. The banner is from Reverse Confetti's Tag me Die set and the sentiment from Beautiful Banners, I heat embossed in gold as well. The background is made from layering some gold striped washi tape. 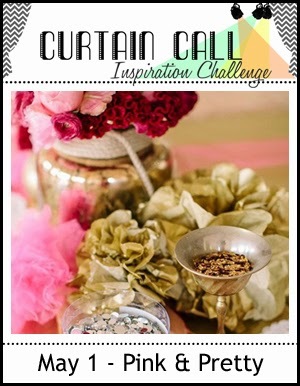 Stop by the Curtain Call Inspiration Challenge: Pink & Pretty and play along with us! OOOO! 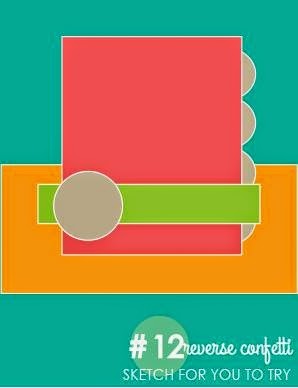 this is fabulous (love that you worked smart and combined the challenges). Love your shaker! LOVE the gold confetti! So much fun and happy birthday!! Happy Birthday sweet lady! Enjoy your day! What a sweet card. Love the sequins framed with the cute scallop frame. Happy Birthday Laurie! I hope you have a fabulous day!!! The happiest of birthday wishes and blessings to you Laurie!! PRETTY card, love the shaker frame. Happy birthday! Wishing you a fantabulous day!! Happy Birthday, Laurie! I love your card, love all of the pretty gold!! Great way to spend part of your day! Happy Birthday! So perfect. Happy birthday to you!!!! I hope you've been feeling better and were able to really celebrate! Happy Birthday ! Love the simplicity of both shaker cards! Hope you had a great day! I love love love this Laurie!! Very simple and cute card! So cute. 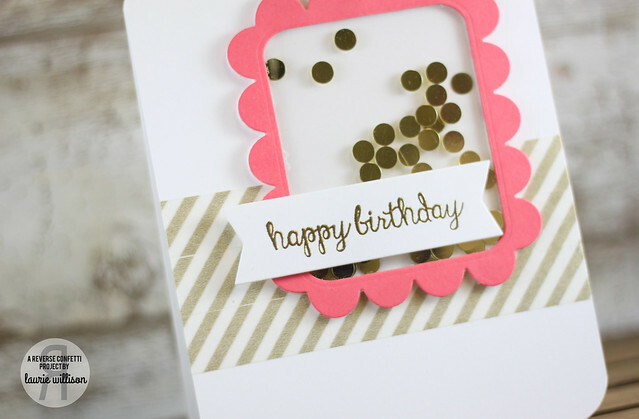 I like the scalloped die. Hope you have a Happy, Happy Day. A belated Happy Birthday! What a fun card!